My grandmother, Elsie, knew all but what turned out to be two of the names of my grandfather’s aunts and uncles and who all of the girls married. What she didn’t know was the name of my grandfather’s grandfather, nor did she know who his grandmother might be- but thought that her name might have been Ruth. 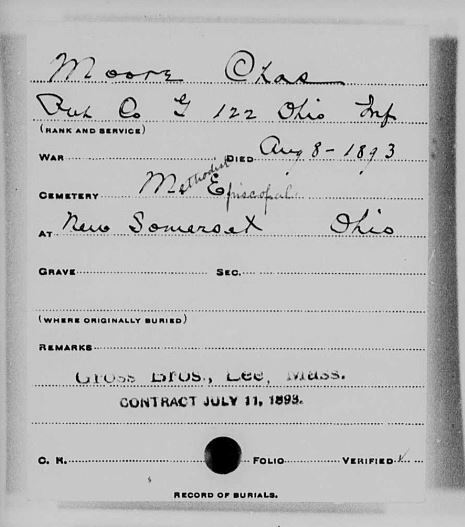 When I began the search for my elusive Moore family, I spent hours at the library searching for Moore families in Ohio who had children with the names that my grandmother had written on the back of an envelope for me. 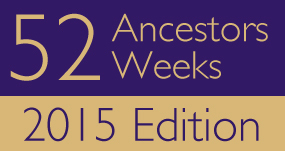 So started the search for finding two of my maternal 2nd great-grandparents, Charles Moore and Jane Johnson. Eventually, I did find my maternal 2nd great-grandparents on the different censuses, but that is a long and frustrating story. 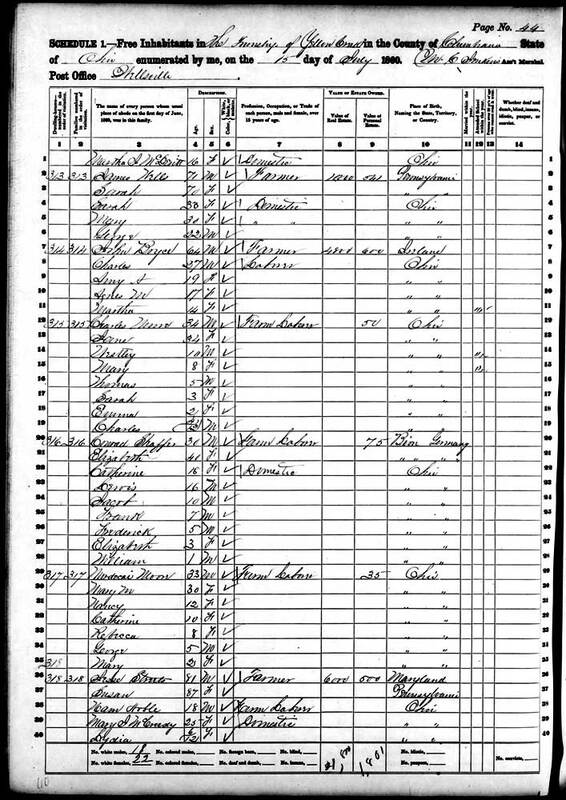 Once I had collected the information from the censuses from 1860 through 1910, and then tracked down each of the siblings and their families on the subsequent censuses, I felt that I had a fairly good picture of who this family was. The next task that I had set for myself was to track down when Charles and his wife, Jane, had died and where they might be buried which involved pouring through cemetery books for four counties. Why four? 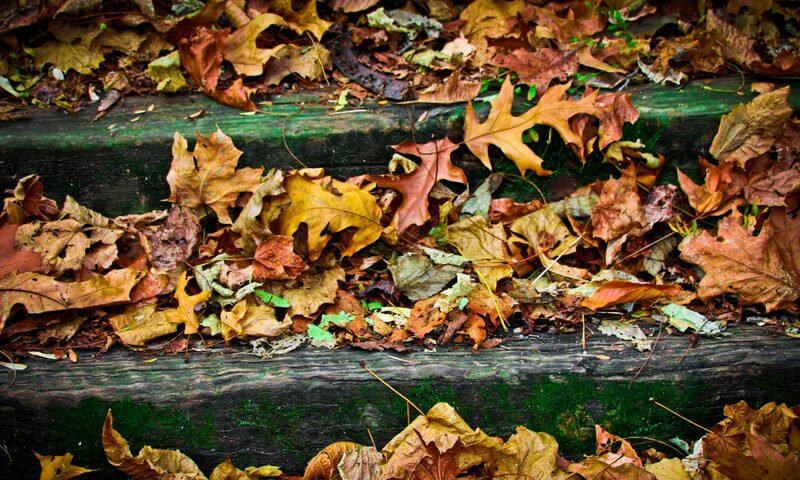 Because the family moved many times over the years back and forth between those counties – Jefferson, Carroll, Columbiana, and Coshocton – all in Ohio. This was no easy task when you’re dealing with Moore names like Charles, William, Thomas, and James. My initial efforts were not very successful. I then started looking for marriages and found the one for Charles and Jane in Jefferson County, Ohio dated 01 January 1852. 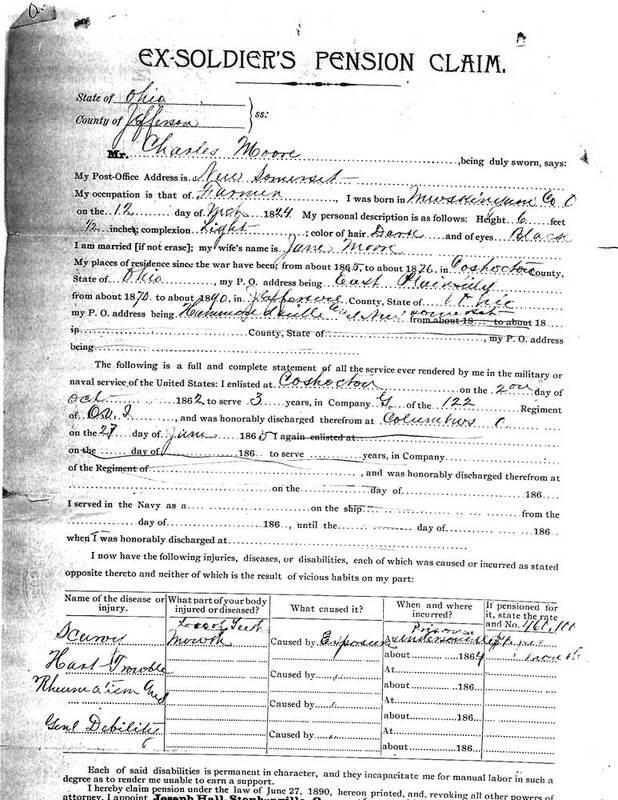 But probably the single best thing that I did when researching my Moores, was to send away for Charles’ Civil War pension file from The National Archives. I got the form from the library, filled out the information for his regiment, Co. G. 122nd OVI, mailed it in and waited. And waited. And waited some more. At the time, it cost me $25.00, which I thought was an enormous sum. Now, that price is $80.00 for the first 100 pages and then, $0.70 for each page over that. Approximately five months later, I received the package in the mail with the documents. Although there are many pension files online now, the information for Charles still is not. That makes me feel pretty good though because I don’t have to feel that I would have been able to obtain them easier and cheaper if I had only had the patience to wait. And besides, who knew that we’d have so much information available to us online? I didn’t. I can’t remember if I even had a computer then, and I was an “early adopter.” Recently, while spending a few hours on a rainy Saturday afternoon in the comfort of my home, I became frustrated because I wasn’t having any luck finding any new information…until I remembered how long it used to take me to discover one little fact during a library-a-thon or a tromp through a cemetery with two kids in tow. Yes, I realized that I had become a bit spoiled with the wealth of information that we have available at our fingertips these days. The first paper was the “Ex-Soldier’s Pension Claim” and it revealed a lot of information that I had not known before. It told me where Charles and Jane were living in 1890 – New Somerset, Ohio. That he was born in Muskingum County, Ohio on the 12th day of March in 1824. It gave a physical description, stating that he stood 6’1/2”, and with a light complexion, dark hair, and black eyes. I was so excited! The bulk of the papers in the packet were affidavits having do with Jane attempting to collect a widow’s pension after Charles had passed away. I realized from the signatures that a lot of these were written by family members and that they had confirmed the names that my grandmother had passed to me on the back of that envelope. Another important piece of information, that I have still found no record of anywhere else, is Jane’s date of death, 05 March 1917 – as seen in the above document. Among the affidavits was one signed off by the attending physician, B.F. Collins, M.D. and the undertaker, J.H. Paisley stating the Charles had died “from injuries received in a runaway” and the date of 8 August 1893. Charles is buried in the cemetery of the New Somerset United Methodist Church in Jefferson County, Ohio. As a veteran, his headstone was provided by the government. 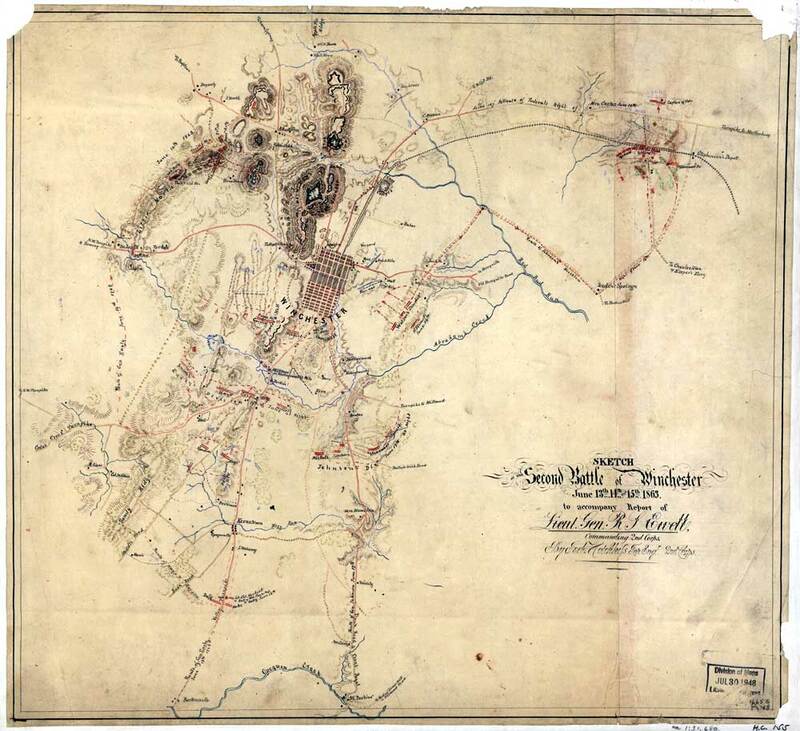 Sketch of the second battle of Winchester, June 13th, 14th, and 15th, 1863 / to accompany report of Lieut. Gen. R.S. Ewell, commanding 2nd Corps, by Jed. Hotchkiss, Top. Engr., 2nd Corps. 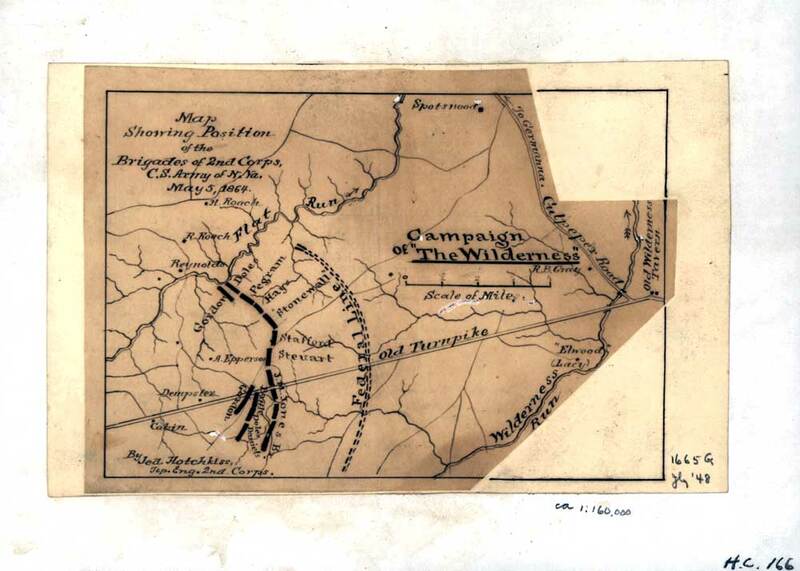 The most unexpected thing that I discovered from these papers was that Charles had been captured on 15 June 1863 at the 2nd Battle of Winchester and spent some time in Andersonville Prison. His health deteriorated rapidly there and he contracted scurvy. When he was released from Andersonville and examined by a doctor, he was given a furlough of twenty days in order to regain some health back. And then it was back to the war. And, almost unbelievably, he was captured again in May of 1864 at the Battle of the Wilderness. Map showing position of the brigades of 2nd Corps, C.S. Army of N. Va., May 5, 1864 / by Jed. Hotchkiss, Top. Eng., 2nd Corps. At some point in the future, I plan to write a blog post about his experiences within his time served, but am presently trying to get access to a book that was written by a man who served in the same regiment, The Civil War letters of the late 1st Lieut. James J. Hartley, 122nd Ohio Infantry Regiment. Until then, I’m (slowly) reading the official war record of the 122nd. Charles was no spring chicken when he enlisted. He was a 38-year-old man and it is apparent that the war took a great toll on him. His health was poor after he returned home and that made it difficult for him to do manual labor. Wesley, born in May of 1849, married Sarah Catherine Landers, m2. Mary B. Rose. Mary, born 25 September 1852, married 1) George W. Ossler, married 2) James C. Wallace. Thomas, born September 1854, married Elizabeth E. Cameron. Sarah Ann, born 14 February 1856, married John C. Duke. Emma, born 04 July 1858, married Joseph Walker Griffith. Charles “Tally”, born February 1859/60, married Mary Elizabeth Wilson. James H., born 04 April 1862, married Ida L. Simpson. Lucinda, born 04 April 1862, married Neil Liggett. Charles’ parents (and also Jane’s) have not been proven so far. I suspect that I have found Charles’ family on the 1850 census in Jefferson County, Ohio, and there is a Charles of the correct age in that household, but I haven’t found any real proof that would link him to that head of household, Charles. Even if this family would prove, the Sarah Ann who is listed as the wife of Charles (the father) would not be the mother of my Charles because this marriage took place in June of 1846. So, until more (pun intended) information surfaces, I am still looking into Moore and Johnson (Johnston) lineages trying to figure out who we spring from. The optional theme for week 21 was “Military”. Thanks! But,I know! I have Millers too. Two different lines. 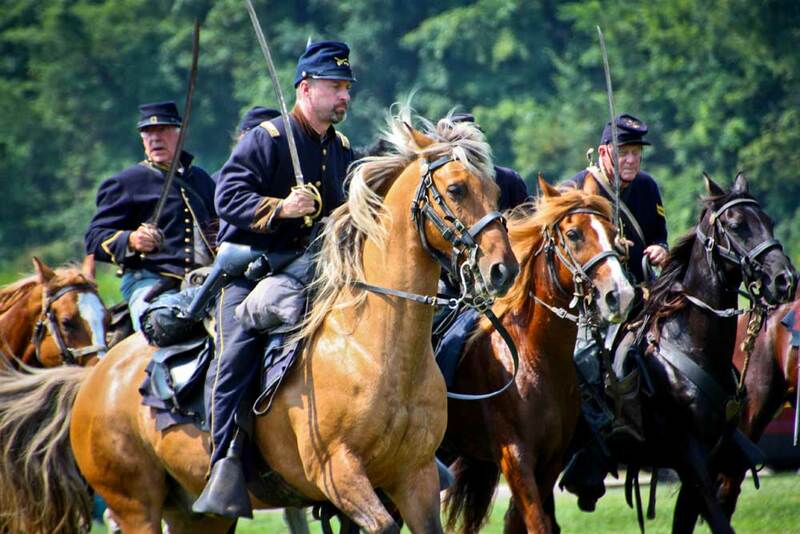 I’m a peace-nik, but the Civil War fascinates me. That’s why I want to go back and revisit Charles story again once I know more of the history of his regiment. And, yeah…he wasn’t young and it sounds like he was a mess with scurvy, chronic diarrhea, his teeth fell out, rheumatism…and they sent him back out. No wonder he was captured again. The thing that bothers me is that I thought that once a prisoner was released, that they weren’t allowed to go back to fight or they could be shot. I really have to do a lot more reading. What a wonderful photograph! A great reminder to all to get it while you can ’cause it may not get cheaper or become available for free in the future. If this is what you write while getting caught up….. I love your story, and the accompanying documentation! Thank you for sharing! Happy hunting those Moore’s! Thank you for the kind words, Pam. I’m having fun with this (even if, at times, I get frustrated.) Thanks for reading!